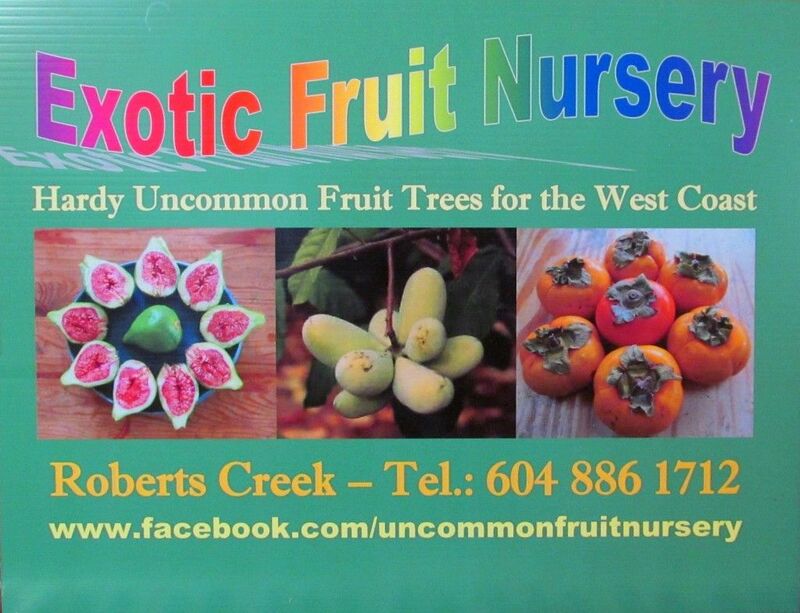 Welcome to EXOTIC FRUIT NURSERY – an organic fruit nursery and farm located on 3 sunny view acres in the heart of Roberts Creek, Sunshine Coast, BC. We specialise in selling and growing a large variety of uncommon fruit trees that are winterhard, delicious and disease resistant. Please phone or message us for an appointment to visit our organic nursery and showcase orchard!